Biofuels future for prairie agriculture closer to reality? Weighing Canadian prairie agriculture’s biofuels potential is a complicated question, says Advanced Biofuels Canada president Ian Thomson, but he believes the industry has good prospects which may be greatly improved as more Canadians and companies place a higher premium on sustainability. Convincing farmers to grow crops for biofuels is another matter entirely, acknowledges Thomson. 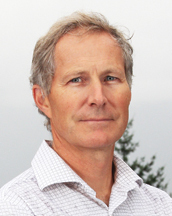 Thomson says the Canadian biofuel industry is getting there, albeit slowly. He is encouraged by the prospect of a new biofuels refinery in Lethbridge, but does not feel such a refinery is absolutely necessary to give his industry a boost in growers’ considerations. What is more likely to drive a new biofuels market for farmers is a competitive price, and if operational changes to produce biofuel crops can be easily absorbed into their existing operations, says Thomson. “What’s now happening is we have technologies that can take what haven’t traditionally had value to a producer like corn stoke, wheat straw or things like that. It is generally acknowledged you can take a portion of that off the land and find ways to use it in other ways. Thomson gets the sense many producers are still taking a wait and see approach when it comes to biofuels, waiting for a turning of the wind toward more demand and consumption of biofuels in society as a whole. This is where government can play an important role, says Thomson. “A number of provinces are reviewing and looking to increase their requirements in their renewable fuel standards, where they require a certain number of renewable content in gasoline and diesel. Thomson strongly feels biofuels may be on the cusp of a much bigger market going forward. “Crop-based fuels are still providing a significant opportunity for a producer,” he says. “So whether it is a corn ethanol or whether it is a biodiesel or renewable diesel— those won’t go away and continue to be important. “We have the markets for them and we have the technologies to make fuel, and to have a really good environmental benefit. There is a lot of upside. “It’s remarkable. If the petroleum industry came out tomorrow and said they have a fuel which can reduce emissions by 90 per cent, people would call it a breakthrough. Well, we already have them. 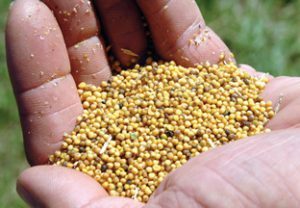 Brassica carinata, a type of mustard seed, is often touted as having an advanced biofuel potential, but it is just one of many potential sources farmers might be able to provide supply for. Industry reps. are confident a new biofuels’ boom is in the making, but there remains many questions around regulation and production.